​DELIVERING CANNABIS TO SF RESIDENTS SINCE 2010! Welcome To San Francisco Green Delivery! 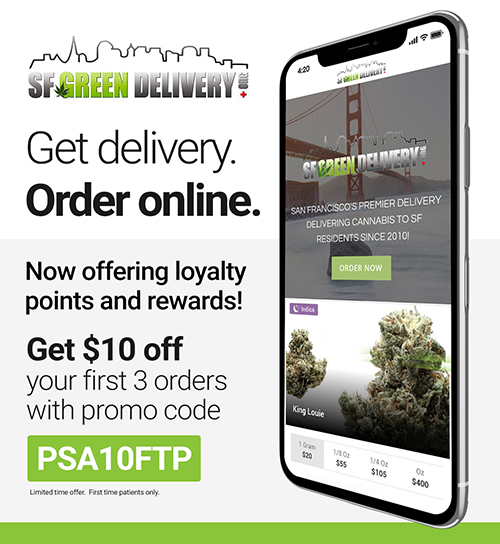 SF Green Delivery is excited to announce a recent partnership that will once again allow us to provide safe access to cannabis through a licensed, prompt, discreet and professional delivery service. SF Green Delivery now serves ‘Adult Use‘ AND ‘Medicinal‘ Cannabis. We accept Cash, Lynx card, or Credit Card ($5 fee/order). Our menu has changed and now includes several exciting new products as well as many of our original offerings. 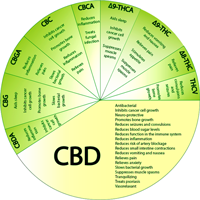 Additional products will be added as our vendors acquire permits and their products become available. *Please Note: Adult use customers must be over 21 years old and Medical patients must present a CA Physician’s recommendation. 1) The new required excise tax on Cannabis is included in the product price. 2) Medical patients must hold a Medical Marijuana Identification Card (MMIC) issued by the San Francisco Department of Public Health (SF DPH) to be exempt from paying Sales Tax. Monday – Re-up, 15% off your order when you buy 2 or more 8ths. Tuesday – Taxy Tuesday 10% OFF all Orders! For your convenience, SF Green Delivery offers "Pre-Scheduled Deliveries!"